Michael B Jordan plays Apollo Creed’s son, Adonis, whom he had through an affair. After being bounced around several foster homes due to his fighting, Adonis is taken in by Apollo’s wife, Mary Anne Creed (Phylicia Rashad). Against his mother’s wishes, he quits his day job and sets out to be a fighter. He makes his way to Philadelphia where he convinces the legendary Rocky Balboa to train him. Michael B. Jordan (Fruitvale Station) is the clear standout. He’s such a natural actor, and easily takes on the underdog role of Adonis with aplomb. He’s raised in the shadow of his father, Apollo Creed, literally in his own house. He dreams of being a fighter like his father, but is terrified of being a failure and sullying the Creed name. Adonis is desperate to prove he’s not a fraud and wants to succeed on his own merit but just can’t escape his father’s name. As a result he’s both chasing and fighting his father’s legacy. Stallone is no slouch either. Playing a hybrid of an aged Rocky and Mickey the trainer, he brings gravitas as the old legend and an easy natural humor to the film. Balboa is fighting “father time” and cancer. He’s lost everyone close to him and is very close to giving up. This sets up a dueling narrative between the two fighters: one literally fighting for his life, while the other his future. Stallone is a key element in this film, having him return was a brilliant decision as it gives the film a legitimacy as a true Rocky movie, much like Leonard Nimoy’s return as the original Spock in the first Star Trek (2009) reboot. Creed’s focus on Apollo’s son allows the film to stand on its own and possibly build a new franchise. The fights themselves are well choreographed and intense. The direction and editing are masterful. The first major bout in particular is one long tracking shot without a single cut. Each punch, strike, and blow inflicted by these boxers is loud and impactful. You wince when they take major blows and can almost feel their pain. Our main antagonist, “Pretty” Ricky Conlan (Tony Bellew) is a solid villain, not the most memorable, but still a great movie bad guy. He’s a loudmouthed bully with vicious bite to back up his bark. He provides a grueling challenge for the young Creed. The theater where I saw the film had the audience cheering and hollering for Adonis. By the tense final round both children and adults around me were on the edge of their seats letting out audible whoops when the Rocky theme triumphantly kicked in. This film is a real crowd pleaser. It ends with a shot of the iconic Rocky Steps: a symbolic passing of the torch. Creed is a fantastic addition to the Rocky franchise and if you’re a Rocky fan or were just thinking of seeing it, then do so, you won’t be disappointed. Your legacy is more than a name. 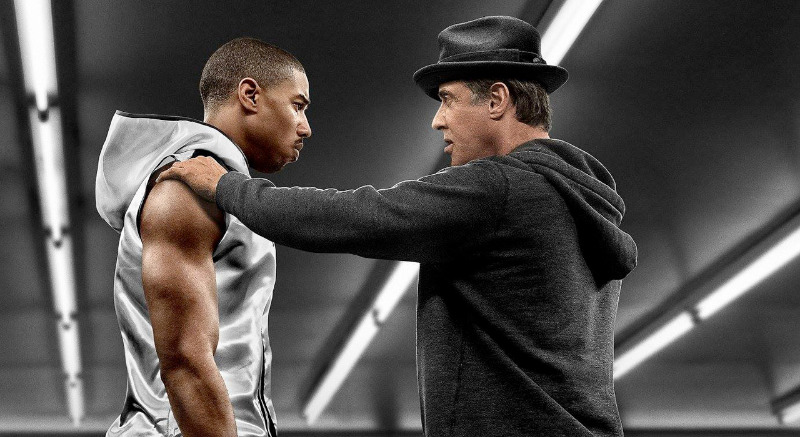 Sylvester Stallone and Michael B. Jordan star in CREED - in theaters November 25th, 2015. http://creedthemovie.com http://facebook.com/creedmovie http://twitter.com/creedmovie http://instagram.com/creedmovie --- From Metro-Goldwyn-Mayer Pictures, Warner Bros. Pictures and New Line Cinema comes award-winning filmmaker Ryan Coogler's "Creed."